Throughout the program, the group is accompanied by Site Director Soleil Sabalja, Site Coordinator Núria Cabrera, and experienced resident advisers. 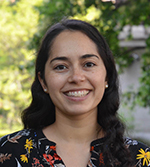 Soleil Sabalja has worked for Columbia’s Summer Programs for High School Students for seven summers; four in New York, one in Amman, Jordan, and two in Barcelona, Spain. She holds an M.A. from Teachers College Columbia University in Teaching English to Speakers of Other Languages and a B.A. from the University of Delaware in Spanish, French, and Chinese. During her collegiate career she spent two semesters studying in Mexico, two semesters in Paris and one semester in Shanghai. She later spent two years teaching English in China. She is currently teaching at an international high school in lower Manhattan. Soleil has a love for all things Spain from the food, to the music, to the historical sites. She has traveled to over 15 Spanish cities in the past three years. Núria Cabrera has worked with the Summer Programs for High School Students every summer since 2002. 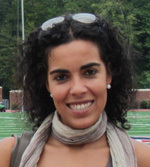 She was first a resident adviser with the program in New York and since 2003 has worked with the Barcelona program. During the year Núria works in the realm of event management and convention coordination. She has organized events for companies all around Spain and traveled throughout Europe to represent these organizations and meet with industry dignitaries. Her language skills—specifically in Catalan, Spanish, English, and French—have been quite useful in her professional pursuits. Núria is a native of Barcelona and holds a degree in tourism from the University of Barcelona. The resident advisers have completed Columbia's intensive two-week training program and have previously spent one summer working as resident advisers in the New York program. The site director, site coordinator, and RAs, in addition to looking after the safety and comfort of the students and strictly enforcing the Behavioral Standards Agreement, organize numerous optional extracurricular excursions in and around the city. The RA to student ratio is approximately 1 to 10. The site director and resident advisers are housed together with the students and provide supervision whenever class is not in session. A curfew (11:00 p.m. during the week and midnight on Fridays and Saturdays) is strictly enforced. Emergency medical and travel insurance coverage in Spain is provided by the program. Generally, this insurance covers the cost of emergency care at either the residence or a local hospital. All participants are required to have their own medical and mental health insurance or Medicaid coverage.